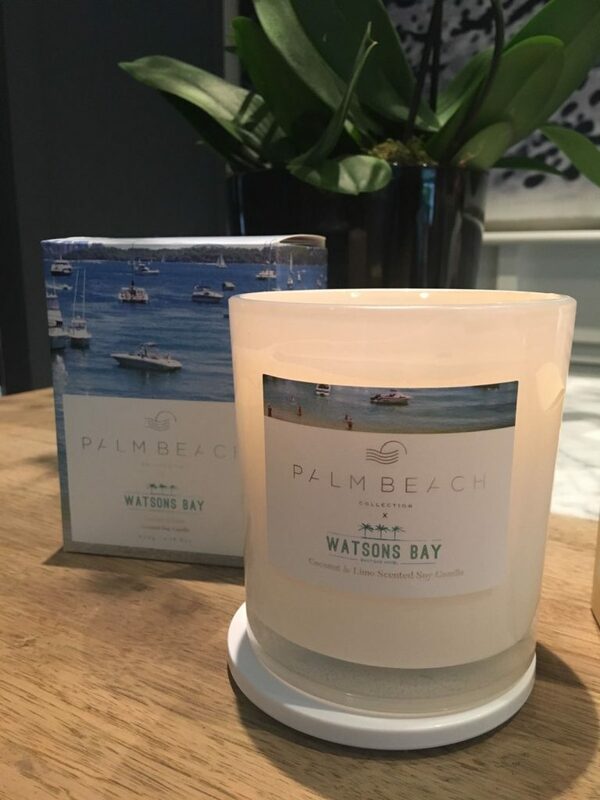 “The iconic Watsons Bay Boutique Hotel itself was established over 180 years ago. Revitalised when purchased by Fraser Short and Arthur Laundy in 2013. The hotel caters to exclusive events including large corporate and social affairs and on-trend party experiences. Boasting a range of waterfront premium facilities including The Sunset Room, Top Deck, Beach Club and our Conferencing Rooms. We arrived in the middle of a rain storm, but were welcomed with open arms into reception where the first thing that hit us was the beautiful smell of the candles burning there. On closer inspection we saw they were the Hotel’s very own branded candle. Before you ask, YES they are for sale, YES we did buy one, and YES the price is very good, only $39! 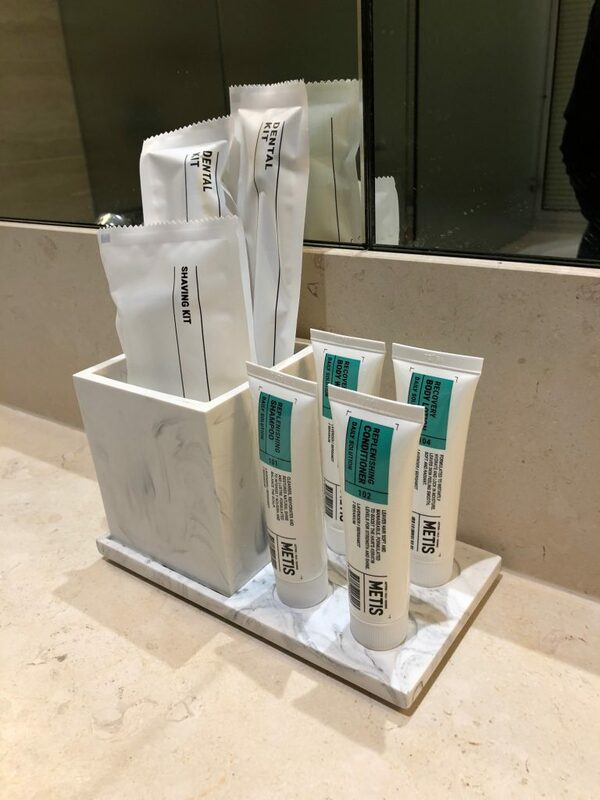 These smell amazing, and are a perfect reminder of your stay. 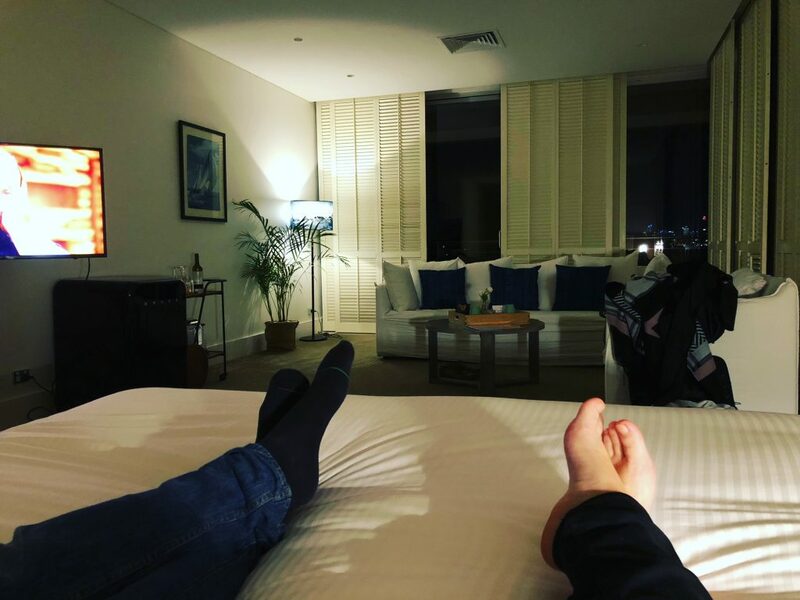 We were booked into the Harbour View Suite, and what a room this is – with views on two sides of the suite out to the CBD and the harbour. Plantation shutters offer you the privacy you may crave, but the view of the City is outstanding, and given we were staying during the Vivid Festival, we were treated to one of Australia’s, if not the World’s greatest views. Quite a view from the balcony of your room! If you, like us live in the Inner West of Sydney or similar suburbs, you’ll know that a bathtub is a rare treat these days for families. The bathroom of the Watsons Bay Boutique Hotel suite is so spacious. There’s not only a bathtub with a view, there’s also a loo with a view. They’ve also thought of everything too, with ear plugs for those light sleepers, and dental and shaving packs for those that may have forgotten a few of the essentials. Shaving kits available for both beards and legs depending on who requires them! Once we’d freshened up we headed to the Beach Club for some cocktails and dinner. 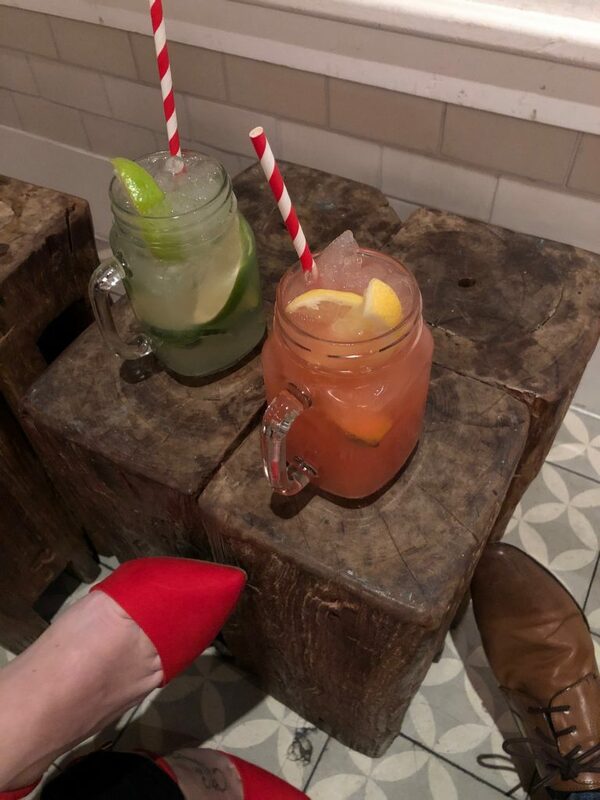 Our drinks were just what the doctor ordered for these two thirsty parents, and you can see what they have on offer right here. To eat, we started with some lovely fresh oysters… because seriously, you’re sitting on the edge of the ocean, what else would you start with? 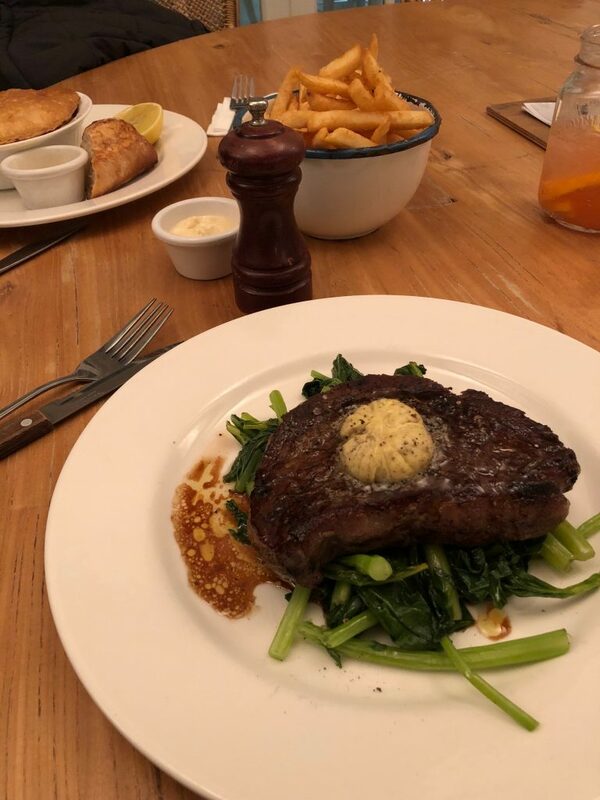 We then followed up with a beautiful fish pie and a steak, both were outstanding and great meals for a cold night in Sydney. The menu itself offers plenty, and you can choose your favourites here. The food was delicious, it was hard to pick our favourite. 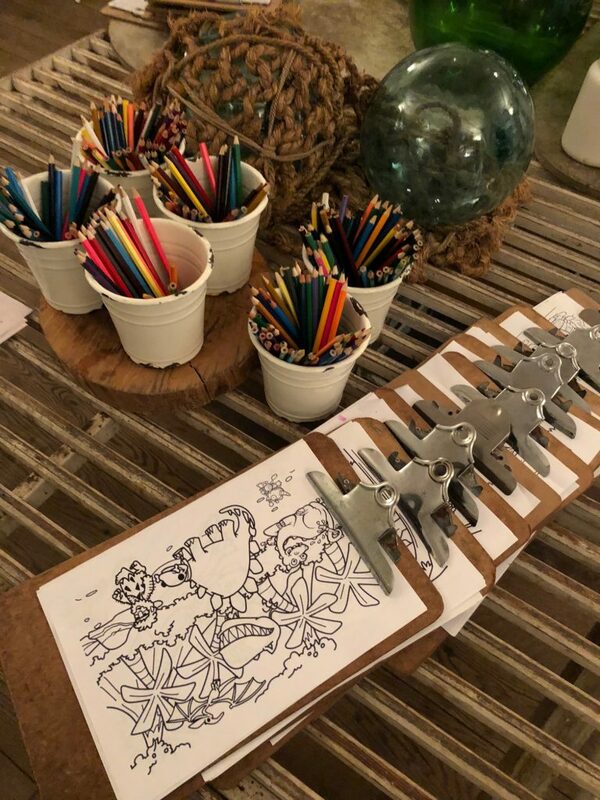 A great little touch was the colouring pencils and paper for kids that were dotted around at various points, so if you were there with your little ones, there were things to keep them entertained, without the need for the parents to dig out anything from handbags or backpacks. Always something to keep the kids entertained if they’re with you. One of the great things about the hotel’s location is exactly that, it’s location. From your room you seem so far away from the hustle and bustle of the of the City, and with the endless water traffic to watch drift by, it’s easy to switch off and get into relaxation mode. You’re right on the edge of the harbour too, so, as we did, you can enjoy a lovely stroll around the headland, clambering over rocks and taking in the views before breakfast. It really is a magnificent way to start the day. The key thing about the location (11kms from the CBD) is that you are close enough to dash home, should there be the very slight chance you need to. It really is the perfect location for a parents staycation. 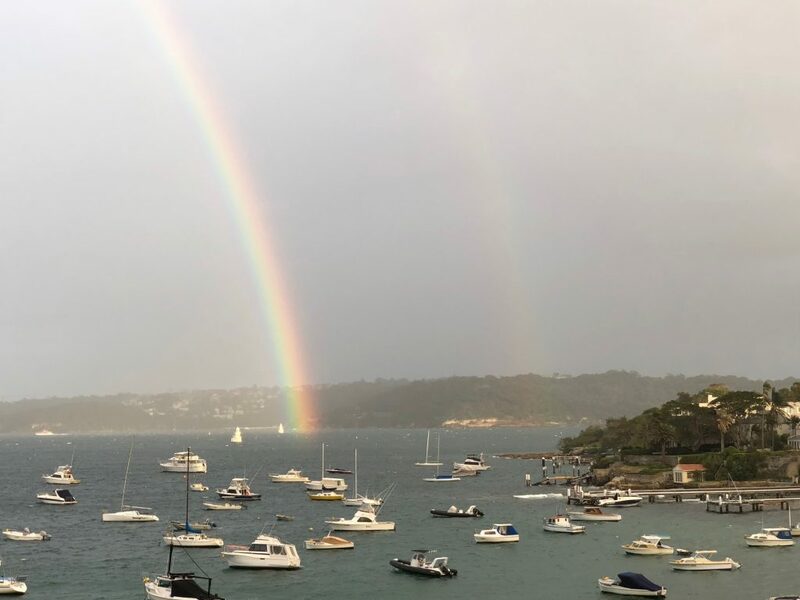 A great view from our breakfast table at the Watsons Bay Boutique Hotel. After our morning stroll we went straight into breakfast, included in your room rate, and again were made to feel very welcome. This is a continental buffet breakfast with plenty of options, from cereals and yoghurt, fresh fruit, pastries, eggs, cheese and ham, you won’t be left wanting. But the highlight for the Dads Stuff duo was the Pancake Making Machine, which not only provided us with a delicious feed, it also provided Mrs Dads Stuff with a new item to add to her Christmas wish list! Another of the other great options for exploring the area was using the hotel’s magnificent vintage bikes. 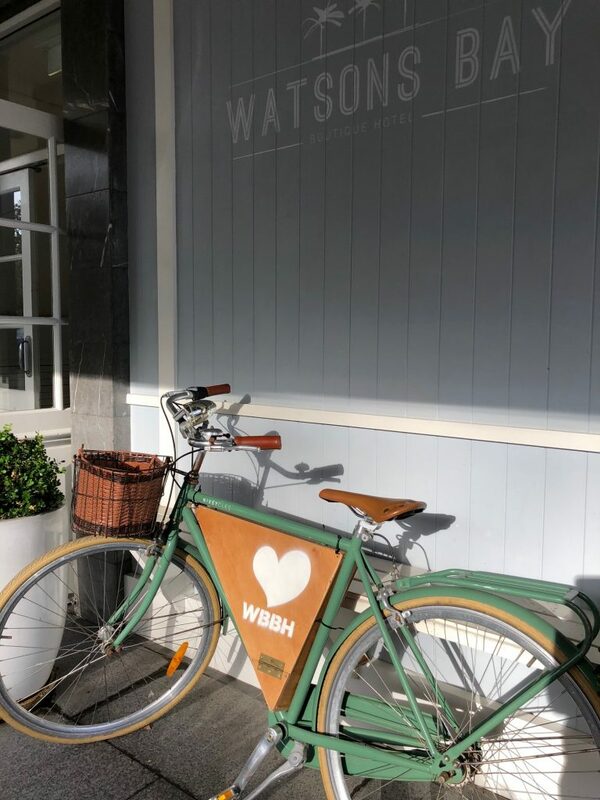 You can purchase a Picnic Package from the hotel which includes an antipasto platter for two and a bottle of red or white wine, load it up on the bikes and go for a spin. What a great idea! There’s a map in your room too with suggested routes to take. 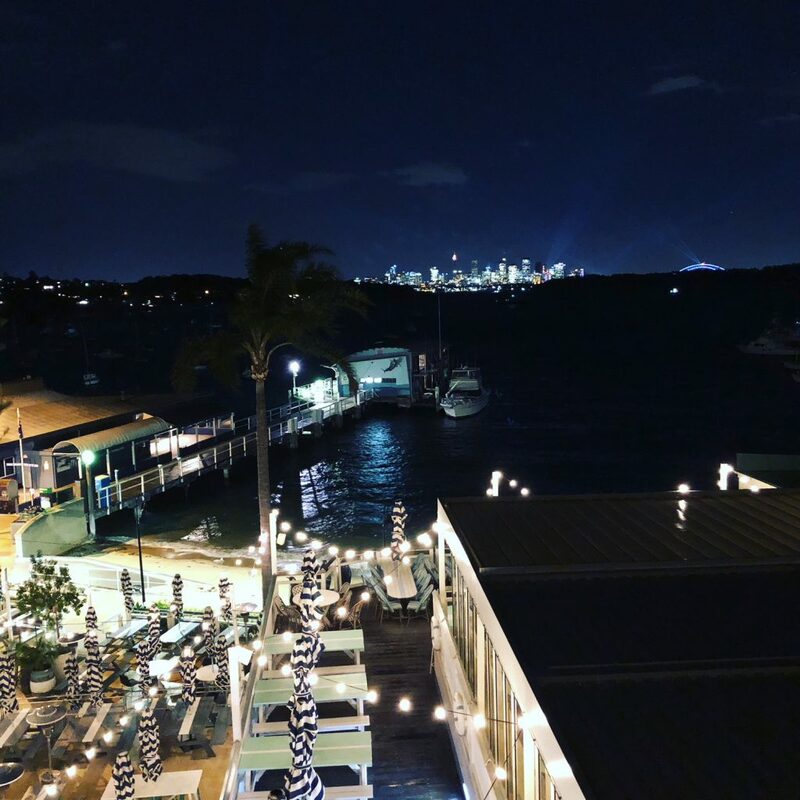 In summary, the Watsons Bay Boutique Hotel is not only a great destination for a family lunch, or a summer beer with friends, it’s one of Sydney’s great spots for a night away from home. A chance to recharge, a chance to be romantic with your partner, or, if your body clock allows, a SLEEP IN! ← AUDIO-TECHNICA’S LATEST OFFERING – OUR WIRELESS REVIEW!